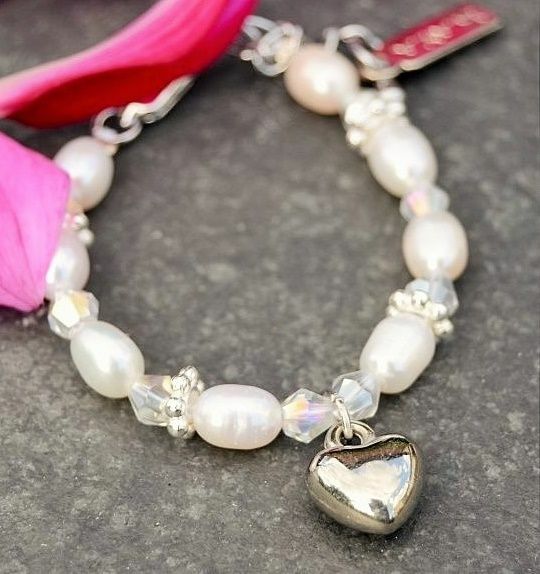 Cute girls bracelet 'Infinity White' made of bright ivory white pearls, crystals and little silverplated rings, with a puffed up Heart charm. 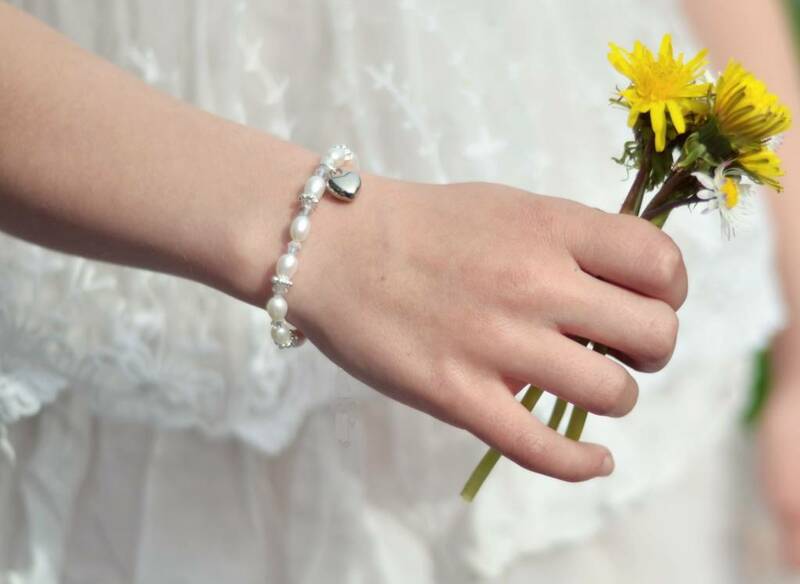 A lovely charm with our popular Infinity bracelet. 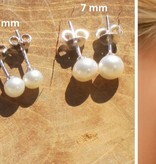 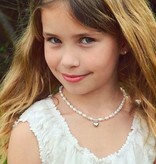 Will look gorgeous with her little white dress! 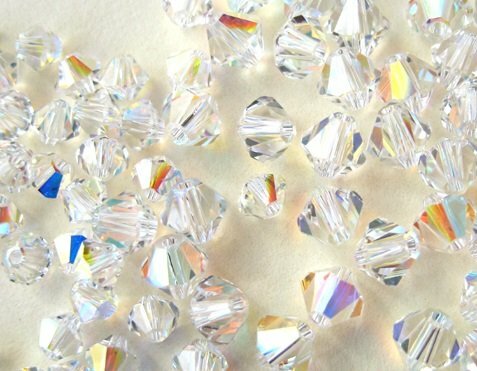 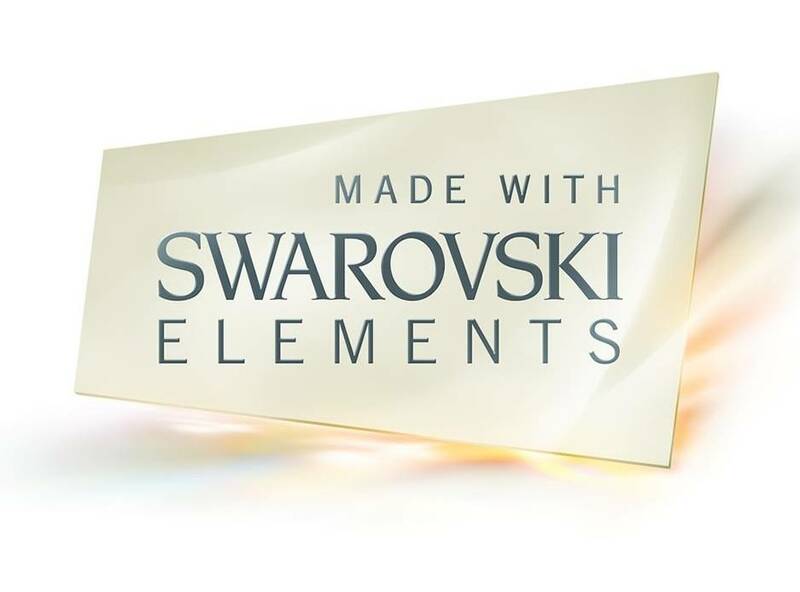 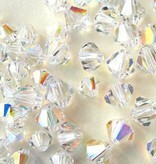 The crystals have a rainbow glow when light reflects on them. 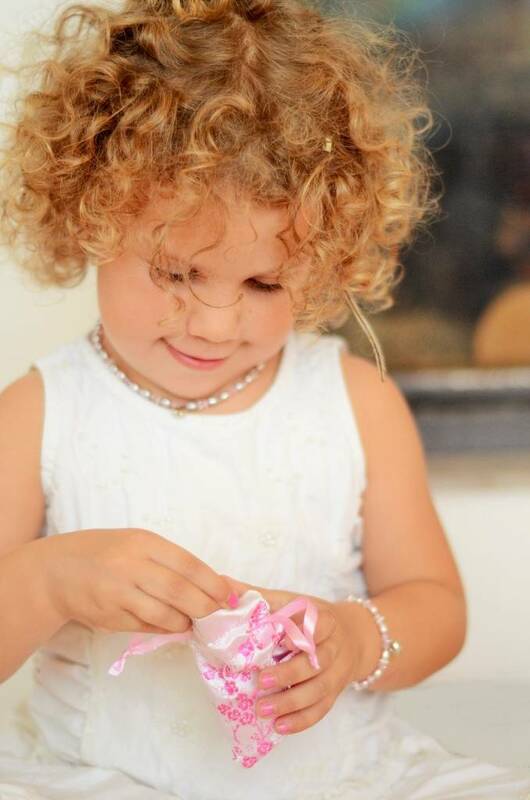 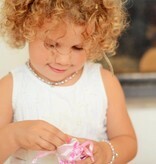 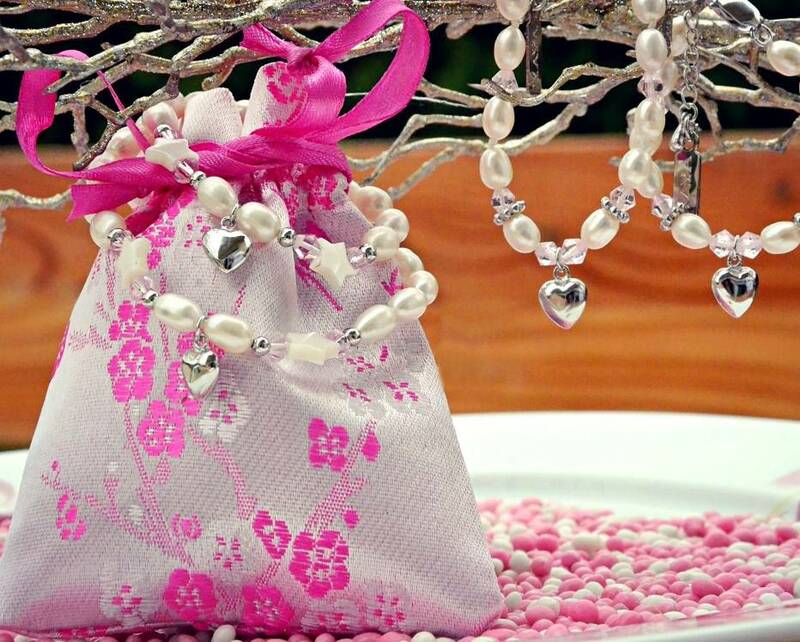 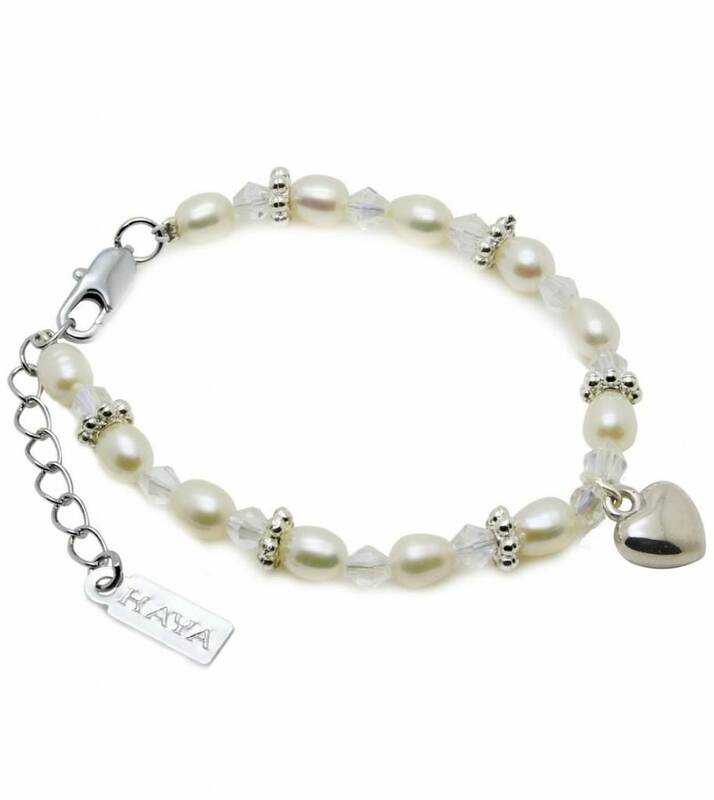 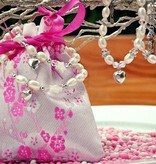 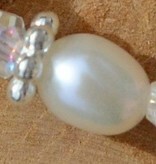 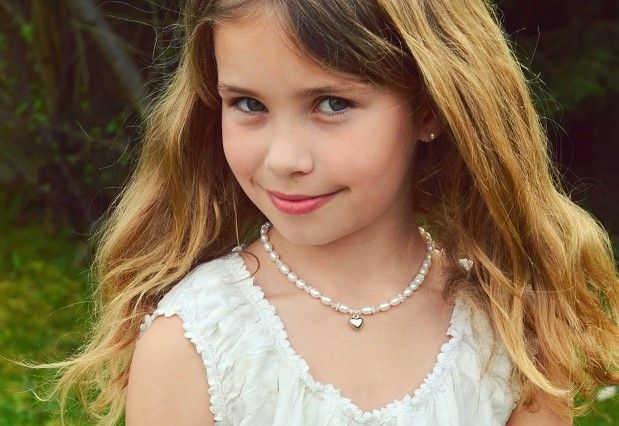 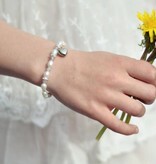 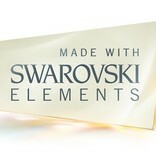 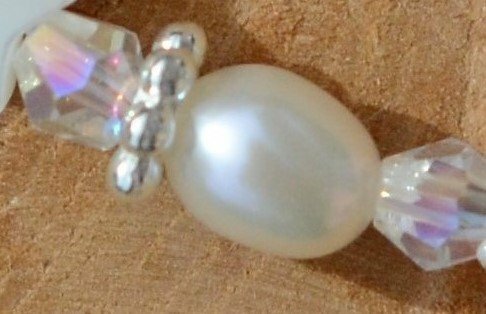 This bracelet is also very popular wedding jewellery for flowergirls and bridesmaids.